Make sure you demonstrate your leadership experience with a nationally recognised qualification that civilian employers understand. Apply for RPL today. The CLET BSB42015 Certificate IV in Leadership and Management is available for RPL for those who have experience in frontline management and team leadership. As an entry level qualification, it is a great representation of the skills and knowledge held by those who are both an active part of a team as well as given the opportunity to take the lead. If you have experience in the military, police, emergency services then you know that a rank hierarchy lends itself to ongoing training and development in leadership. So too, the same structure encourages management and organisation of self and others, to ensure that the organisational operational needs are met. Or perhaps you have experience in the private sector and have been actively involved in frontline management and team leadership. If so, apply for RPL today and let the CLET RPL Team advise you on your options. This unit describes the skills and knowledge required to determine and analyse existing and required resources, their effective application and the accountability for their use. It applies to individuals with a broad knowledge of business resources who contribute well developed skills and knowledge to ensure adequate resources are available to perform the work of the organisation. They may have responsibility to provide guidance or to delegate aspects of these tasks to others. This unit describes the skills and knowledge required to identify statutory, legislative and regulatory requirements and relate them to individual work practices to ensure ongoing adherence to the compliance framework. It applies to individuals who to carry out work in accordance with the compliance framework applying to a particular job role, occupation or profession. This unit identifies the behaviours, skills and knowledge required to lead a diverse workforce. It covers identifying, analysing and engaging with a diverse workforce to maximise the benefit of diversity to the organisation. The unit applies to supervisors, team leaders, new and emerging managers who lead within a diverse workforce environment and exercise discretion and autonomy within a structured business context. This unit describes the skills and knowledge required to lead teams and individuals by modelling high standards of conduct to reflect the organisation's standards and values. It applies to individuals who are making the transition from being a team member to taking responsibility for the work and performance of others and providing the first level of leadership within the organisation. These managers have a strong influence on the work culture, values and ethics of the teams they supervise. This unit describes the skills and knowledge required to identify risks and to apply established risk management processes to a defined area of operations that are within the responsibilities and obligations of the role. It applies to individuals with a broad knowledge of risk analysis or project management who contribute well developed skills in creating solutions to unpredictable problems through analysis and evaluation of information from a variety of sources. They may have responsibility to provide guidance or to delegate aspects of these tasks to others. In this unit, risks applicable within own work responsibilities and area of operation, may include projects being undertaken individually or by a team, or operations within a section of the organisation. This unit describes the performance outcomes, skills and knowledge required to establish and develop a professional mentoring relationship with a learner, in particular an apprentice or trainee employed by, or undertaking work placement in, a workplace. It includes establishing the need for mentoring, developing a mentoring plan/framework, facilitating and monitoring the mentoring relationship, and evaluating the effectiveness of mentoring. 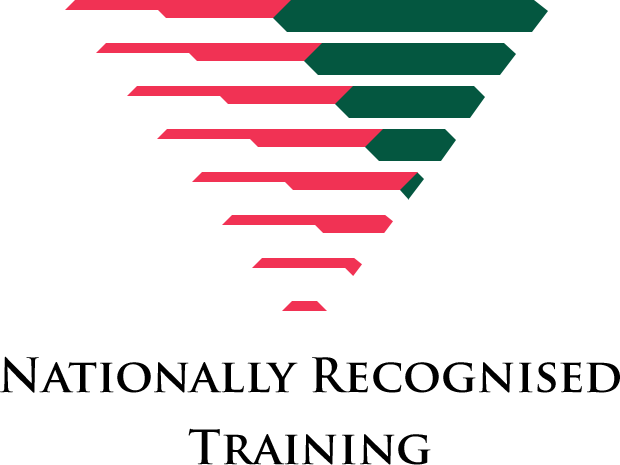 RPL is a great way for experienced personnel to receive Nationally Recognised Qualification/s that are assessed to match to their knowledge and skills in recognition of years of service. The award is a formal testament, appreciating the value of these attained knowledge and skills that can then be easily recognised by both the private and public sectors for a smoother transition into new employment. PROCEED TO AWARD: $995 - This fee is only due after initial review is completed, candidate then requests a full RPL assessment is conducted and decides to proceed to be awarded with the qualification. If candidate does not proceed to award, no fee is payable. Q1. Do you have an interest in learning leadership and management skills? Studying this qualification you will learn how to communicate effectively as a workplace leader, lead a diverse workforce, lead effective workplace relationships, identify risk and apply risk management processes, lead team effectiveness, implement and monitor WHS policies, procedures and programs to meet legislative requirements, implement operational plan, mentor in the workplace, conduct work within a compliance framework, implement customer service standards, coordinate business resources and show leadership in the workplace.